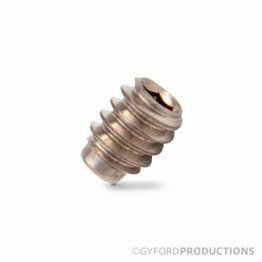 The #6-32 Pan Head Screw. 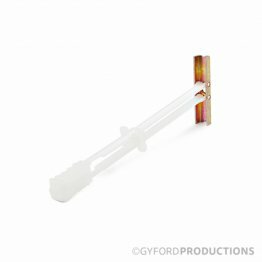 2" long. 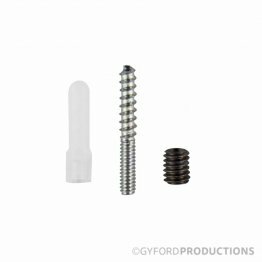 The 10-24 Cone Point Socket Set Screw has 10-24 threads and a 3/32″ hex socket. The 10-32 Cone Point Socket Set Screw has 10-32 threads and a 3/32″ hex socket. 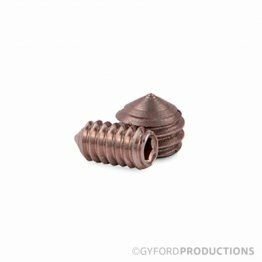 The 5/16-18 to #8 Combination Screw is a #8 combination screw with 5/16″ of 5/16-18 threads. 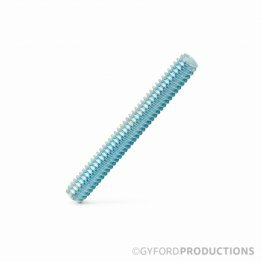 It is available in 1-1/2" and 2" length and with a thread length of 5/16" or 3/16" long. 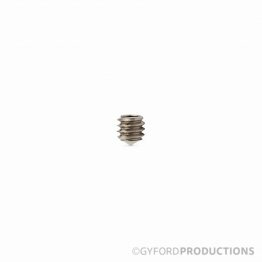 The 5/16-18 to 10-24 Conversion Machine Screw is a 17/32″ long conversion screw that has 1/4″ of 5/16-18 thread and 9/32″ of 10-24 thread. 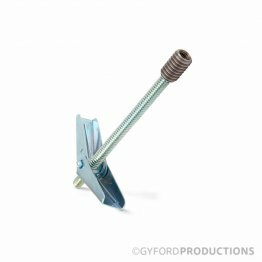 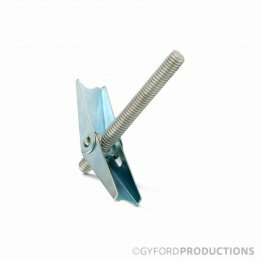 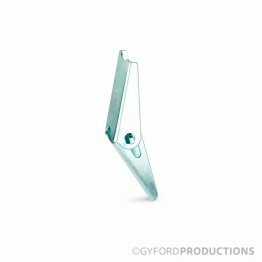 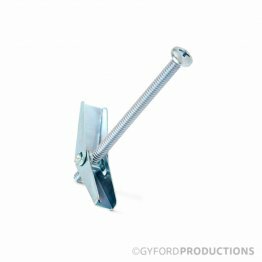 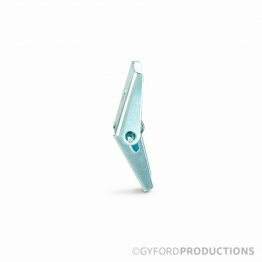 The 5/16-18 Zip Toggle Anchor Assembly includes a 1/4-20 zip toggle with a 3-1/16″ long conversion screw to 5/16-18 thread. 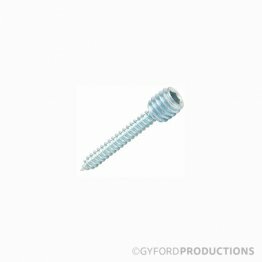 This assembly requires a 1/2″ hole and has a 2-14″ open span. 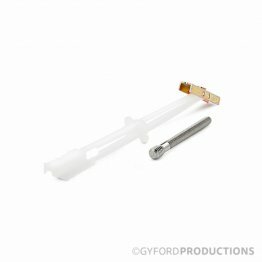 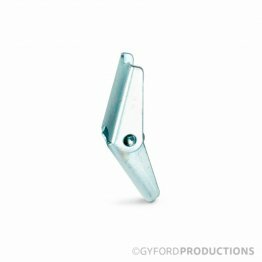 The 1/4-20 Zip Toggle Anchor Assembly is a 1/4-20 threaded zip toggle assembly that comes with a 2-1/2″ button head cap screw. 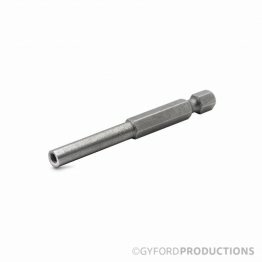 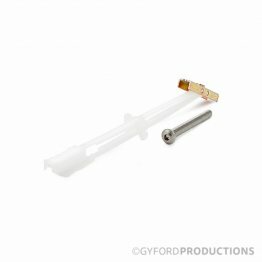 The 2-1/4″ toggle requires a 1/2″ pre-drilled hole.